Olive oil hair mask has become a new trend and many people have begun to use on their hair to get natural benefits. Olive oil is a rich emollient that conditions the hair and makes it easy to comb. 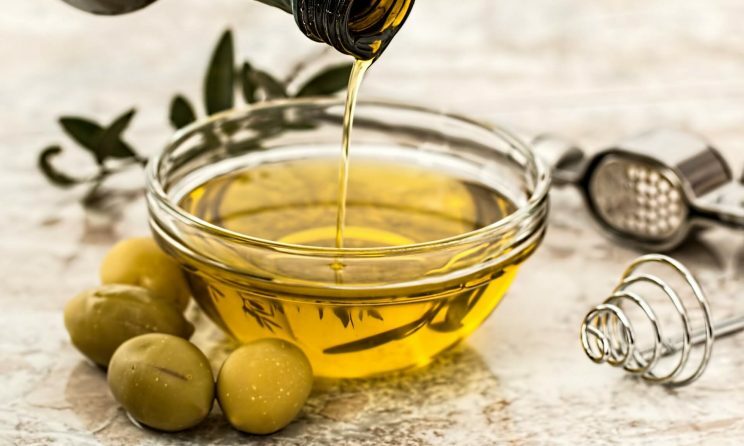 Extra-virgin olive oil is best for your hair, as it contains vitamin E and several other essential nutrients that provide deep treatment to your hair and scalp. The vitamin E in olive oil helps improve your hair’s elasticity to give you soft and bouncy hair. It also prevents hair loss from breakage. The oil works to restore your scalp’s health and deeply nourish the hair follicles. It boosts hair growth and prevents hair loss by strengthening your hair’s roots. An olive oil hair treatment can be used as a method of deep conditioning after every wash.
Every week if you wash your hair often. It can also repair coloured hair, so it is recommended to use it after you dye your hair. Read this article and find the perfect olive oil hair mask for your hair. This is a repairing banana and olive oil hair mask for damaged hair and also help control frizz. The potassium present in the banana prevents hair fall. It also contains fatty oils that minimize the loss of moisture. Do this once a week to repair damage and condition dry hair. Add to it 2 tablespoons of extra virgin olive oil. Mix well until no lumps are there. Apply all over the hair using a brush. Cover with a shower cap and wash with shampoo after 20 minutes. Honey is an antioxidant so it is able to keep your scalp healthy and prevent infections and dandruff. Honey can also make hair smooth, and lock in moisture. If you have oily hair, apply the mask once a week. mix the 3 tablespoons of olive oil and 1 tablespoon of honey. Pierce 1 Vitamin E capsule and squeeze the oil into the honey and olive oil mixture. Wash your hair with shampoo and wait for it to air dry. Once your hair is completely dry, section it and start applying the mixture to it with your hands or a colour applicator. Ensure that you cover all of your hair from the roots to the tips. Wait with the cap on for 30-90 minutes. Wash off with shampoo and follow it up with conditioner. Eggs are a rich source of protein, fatty acids and biotin that boost hair growth and also help repair damaged strands. The mask will replenish your dry and damaged strands. It also nourishes your scalp and is recommended for those who have a dry or slightly itchy scalp. This mask also works to repair split ends. Whisk 1 egg and the olive oil in a bowl until they’re well combined and the mixture is creamy. You can add more or fewer amounts of olive oil depending on the length of your hair. Shampoo your hair and skip the conditioner. While your hair is still a little damp, section it with a wide-toothed comb and start applying the mixture. Coat all of your hair with the mixture, concentrating on the tips. Put your hair up in a bun and wait with the mask on for 20 minutes. Rinse the mask out of your hair with shampoo and cold water. Let your hair air-dry, or use a blow dryer on the cool setting. Coconut milk contains proteins that deeply nourish both your scalp and hair, hydrating rough and frizzy locks along with alleviating symptoms of dry scalp. Use this olive oil hair mask once a week. Pour 1 cup of coconut milk into a bowl. Add 2 tablespoons of extra-virgin olive oil. Add 1 tablespoon of raw honey as well. Whisk everything up to get a uniform mixture. Use a hair dye applicator to apply this deeply hydrating mask on your frizzy hair, covering it entirely from the roots to the tips. You can also massage it into your scalp for nourishment. Leave it on for 1 hour. You can roll up your hair and put on a shower cap to avoid creating a mess. Afterwards, shampoo and condition your hair as usual. In this article, I have shared step to step few olive oil hair mask recipes at home. It has a solid nutritional profile as well. So if you can take action for starting a beautiful lifestyle, you can surely start reaping the benefits within days. Finally, let me know what do you think about this article on how to make olive oil hair mask by leaving a quick comment below in the comment box.